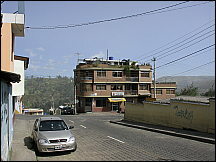 Guaranda is a city in central Ecuador. 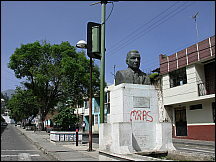 It is the capital of Bolívar, a province located in the Andes mountains. 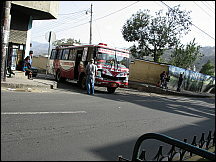 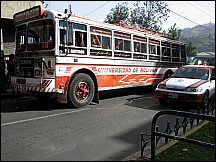 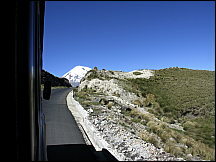 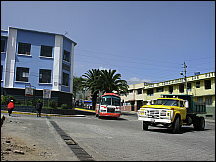 The city has road connection with Babahoyo and Ambato, which lies a couple bus hours to the East. 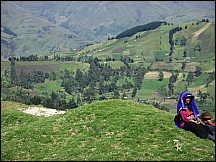 Guaranda is a market town located in a "Valle" - a deep valley in the high Andes, serving a vast hinterland of agricultural settlements ("comunidades") peopled by Quechua Indians. 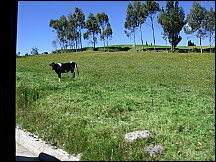 Its climate is subtropical, with a long (May - October) dry season ("estio"). 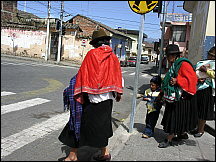 Its population is mestizo, with a nucleus of Spanish people. 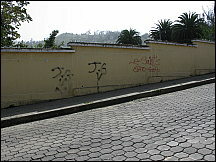 It is generally known that the area was first colonized by Jewish Conversos fleeing from Lima's Inquisition. 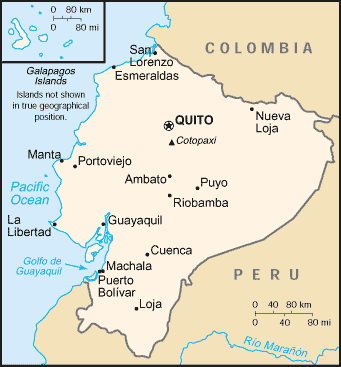 This nucleus has been intermarrying for now almost five centuries, forming a compact population linked by family connections. 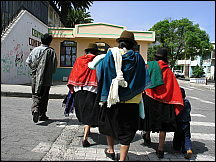 Since the '90s, the indigenous majority has seized political power and most of the local elected officers are of Quechua origin. 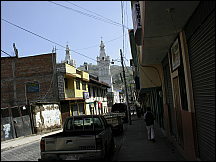 The city has over 25,000 inhabitants. 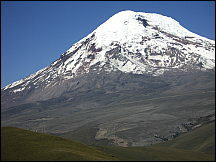 It suffers severe problems of electricity and water supply. 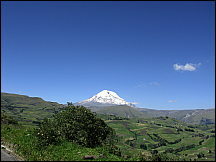 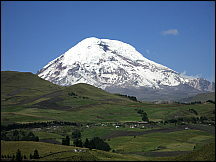 Water is drawn from high surface sources, mostly from the Chimborazo glacier, and is of good drinking quality. 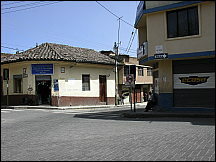 The city is known for its week-long Carnaval and for its "Pajaro Azul" alcoholic drink. 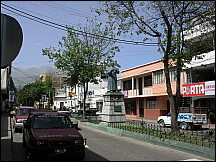 Surrounded by the peaks of San Jacinto, Loma de Guaranda, San Bartolo, Cruzloma, Tililac, Talalac, and el Mirador, Guaranda is known as the City of the Seven Hills. 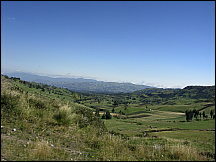 At 2650m, this highland city is the smallest provincial capital in Ecuador. 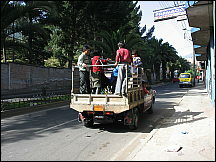 The Carnival festivities are very traditional and last for several days. 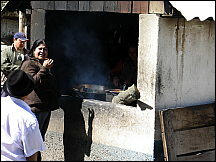 Visitors are offered chicha (a local, maize-based alcoholic drink) and the popular firewater known as Pájaro Azul (Blue bird) which help them get into the spirit of the festivities. 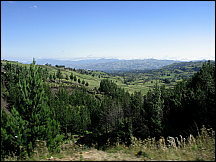 Free pictures of scenes around Guaranda. 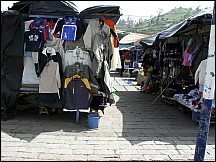 Typical street scene in Guaranda Ecuador . 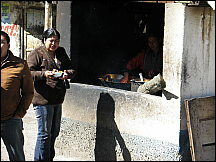 The Restaurant Central is not in any guide books but is just fine. 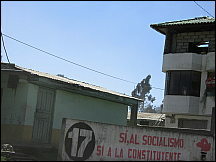 A popular sign: Yes to Socialism. 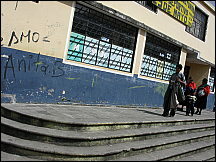 Most are overwritten with a black NO to Socialism. 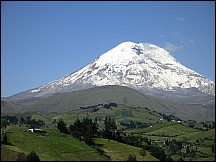 Guaranda (25.000 habitantes) es la capital de la Provincia de Bolívar, en el centro del Ecuador, enclavada en el corazón de país, al pie del nevado Chimborazo. 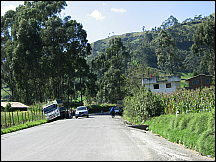 Guaranda es conocida también como "la ciudad de las siete colinas". 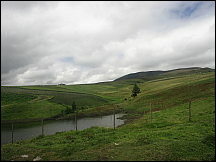 La ciudad está cruzada por los ríos Salinas y Llamanga (o Guaranda), a partir de su confluencia, al sur de la ciudad se forma el río Chimbo. 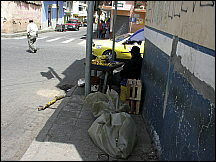 En la ciudad se comercializan los productos de la zona como: panela, aguardiente, lana, productos lácteos y tejidos.